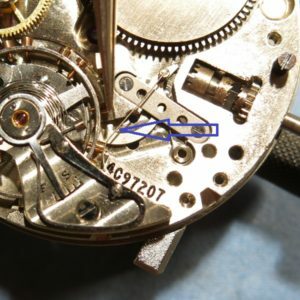 A watch that “hacks” or that has “hacking seconds” is one in which the seconds hand stops when the crown is pulled out. 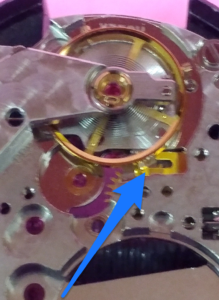 Hacking is achieved when pulling the crown out to the setting position causing a lever to come into contact with the balance wheel causing it to stop and to be held in position. Hacking allows the watch to be set to a reference signal, or synchronized with a second timepiece. Pushing the crown in releases the lever, allowing the balance wheel to move freely. 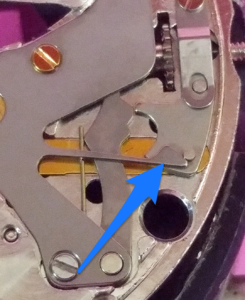 The hack on a Rolex is a simple thin piece of brass that is attached on the dial side to the detent lever. 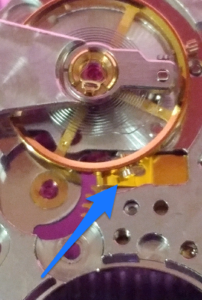 When the stem is pulled into the setting position, the hack slides forward and lightly touches the underside of the balance wheel stopping the watch. Simple! 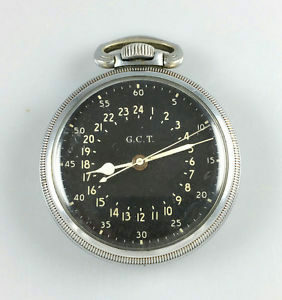 The Hamilton 4992b military pocket watch is designed with a hack. It was used in WW 2 for aviation navigation. The hack was essential in timing for aviation and bombing runs. 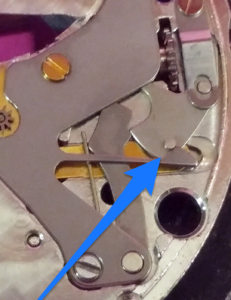 Most ETA mechanical movements come with a hack. It is a simple brass lever that is attached to the clutch wheel. It slides forward to lightly tough the balance wheel when the watch is in the setting position. 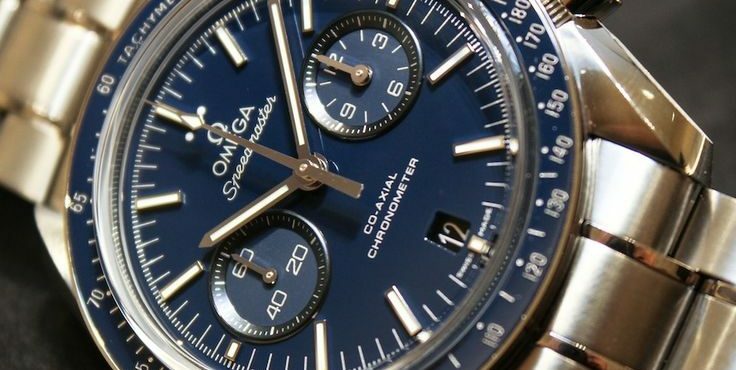 How did the word “hack” come to mean what it does with respect to watches I wonder? Thank you, Mark. I always wondered how this was achieved. Now I’ll remember this whenever I hack my watches! Interesting post Mark.Thanks for the post.I could say something here but….got hacked! what about a “true” hack like on a vintage Glycine Airman? when you pull the crown out it still runs until it hits 12:00 exactly, then stops. I have an early Bulova Accutron “Railroad Approved” wrist watch, 1963 vintage with the Hack Feature. I think that is when it first became available on Accutron, being the watch had to have the ability to set the second hand, in order for it to be approved for use by the railroad. It worked by the hacking bar momentarily touching and stopping the movement of the tuning fork when the setting leaver was pulled out! Anytime when I pull the crown out, I observe the second hand stops, but this is the first time the hack mechanism is explained with illustrations. It is great, thank you, Mark! 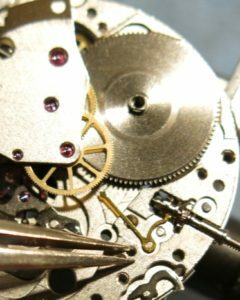 My question on this matter is whether a digital watch has the same hack feature as an automatic one since the second hand on a digital watch stops when its crown is pulled out? Thank you for your post about hack position. Can fakes have a hacking function?